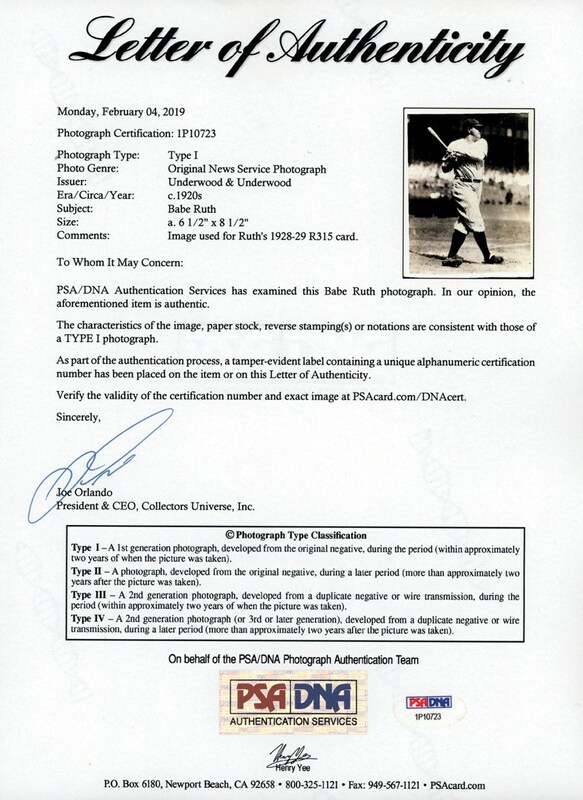 One of the "hottest" collecting angles in the hobby continues to be capturing original photos used for a player's popular baseball card. 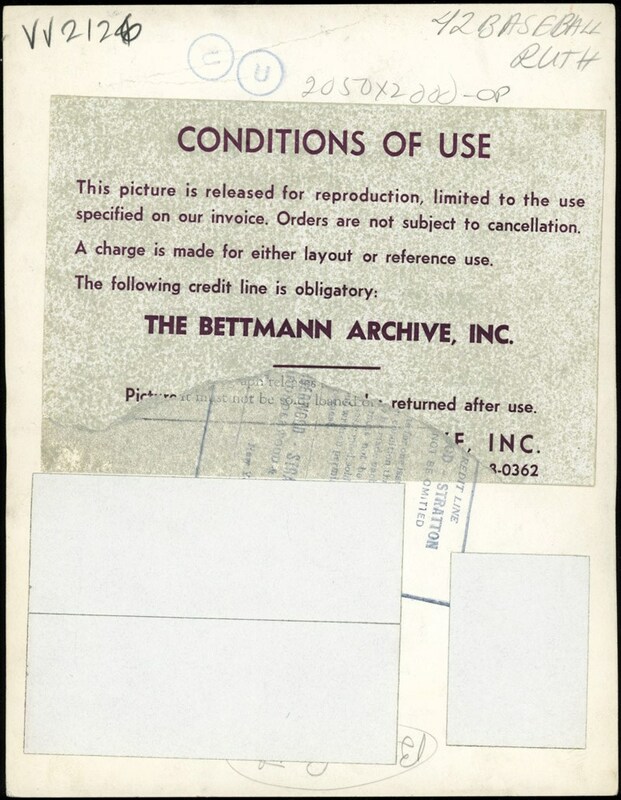 Several examples for this spiraling pricing surge are images representing the 1951 Bowman Mantle and 1954 Topps Hank Aaron cards fetching an astonishing $70K+ and $30K+! Additionally, we have seen several Jackie Robinson, Willie Mays, Roberto Clemente Babe Ruth and Mickey Mantle photos linked to their desirable baseball cards either approach or exceed five figures. 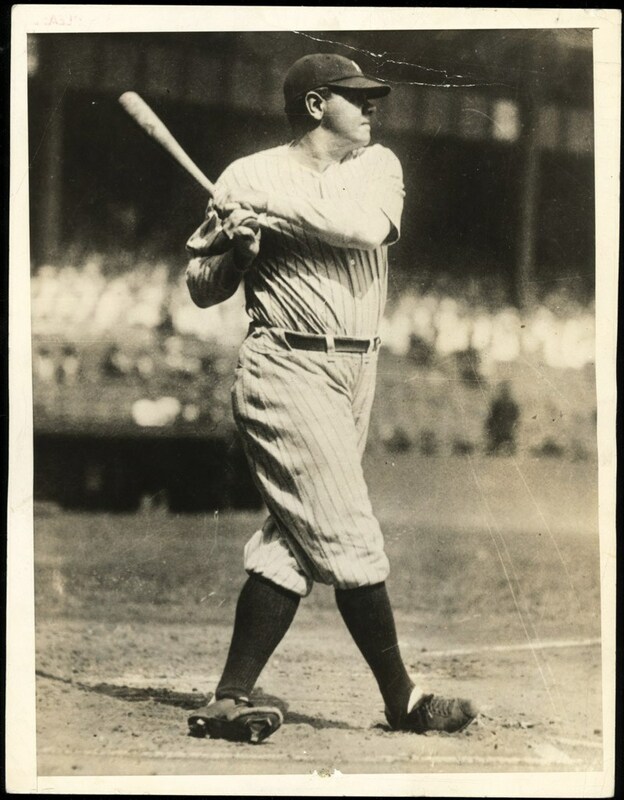 That said, we are excited to now offer this extremely rare c.1920's Babe Ruth batting photo that was the EXACT image used for his highly coveted 1928/'29 oversized baseball card. This 6-1/2" x 8-1/2" marvel portrays the classic Ruth swinging pose that has captivated card collectors in their on-going quest for an R315 Ruth subject. Measuring approximately 6-1/2" x 8-1/2", the iconic black & white 'Sultan of Swat" image has eluded any obtrusive flaws over the past 90+ years; still depicting magnificent contrast and crystal clear clarity.